So let’s get down to it! The Patriots vs The Giants eh? Are you ready for some Football?! 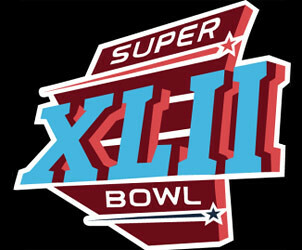 Are you read for the Super Bowl adverts?! Hell Yeah! Where else do you pay 3 Million (£2) to show a 30 second ad! The Grey Cup? Sadly no. That last line was aimed at Nic n Cher, but I think it will be Coors having the last laugh this Sunday. They have launched a wicked viral marketing campaign for Super Bowl. Who Wants It More? (an inticing line in itself), is an online competition for fans to win tickets to the main event! Leveraging that hawt new online marketing trend of user-generated content, Coors is asking that fans submit a short video documenting why they deserve to go to the Big Game. Of course, it also must include Coors Beer in some way, shocker I know. In addition, the videos are voted on by fans online, more user generated content. There’s more… Get this, fans can only submit their video if they have an entry code taken from specially marked cans or bottles. Ooooh, there’s that saught after online/offline combo so many marketers are unable to master. I’m also thinking they have not had to pay out $30,000,000 (£2) to do it. Well done Coors, almost makes me want to put down my Bud and grab a Molson product… almost. FYI, if you’re in the UK, you can catch the game on BBC2 @ 22:50. Guess I won’t be keeping my local open until 3am again eh? One last special note to Coors: not everyone visiting your website lives in the US, so please offer those of us unfortunate enough to not be American residents, an ‘other’ option when requiring us to enter our ‘State’. Are you taking a lesson from the Venetian’s playbook or what? I in addition to my pals have been examining the nice solutions on the website and immediately I got a terrible suspicion I never expressed respect to you for those tips. All the women had been so passionate to learn them and have now surely been having fun with these things. We appreciate you simply being simply helpful and then for finding these kinds of notable resources millions of individuals are really desperate to understand about. My honest regret for not saying thanks to sooner.